Trump named a University of Utah professor to his science board. Some worry her controversial view on fetal pain played into the decision. (Photo courtesy of the University of Utah) Maureen Condic poses for a picture after being appointed by President Donald Trump to the National Board of Science. 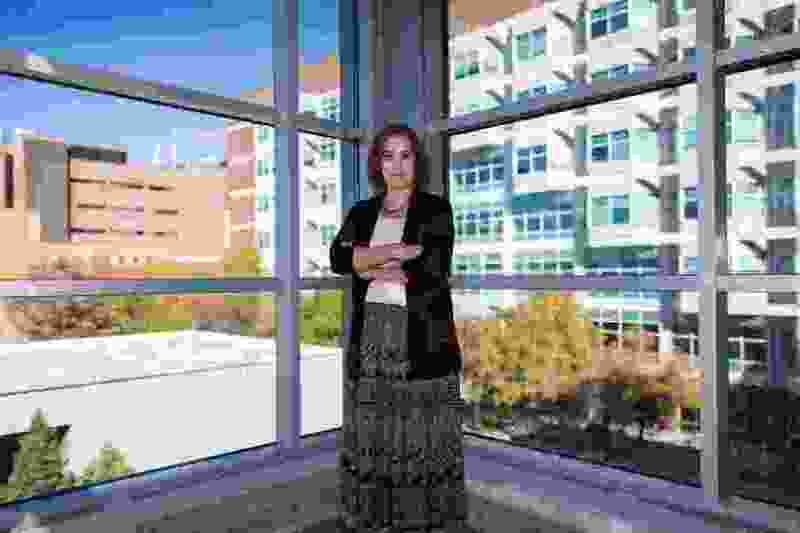 Some Utah researchers and doctors are concerned by President Donald Trump’s decision to place on his science advisory board a University of Utah associate professor who has testified about a controversial and largely disputed theory used by conservatives to argue against abortions. Trump announced his pick of Maureen Condic for the National Science Board earlier this month. The U. touted the position as a “distinct and rare honor” for the scientist who specializes in neurobiology and spinal cord repair. But a few of her colleagues said last week that they’re concerned about how Condic uses facts and presents information. Most point to her views on fetal pain. “She is willfully ignorant or not up-to-date,” added Leah Torres, an OB-GYN in Salt Lake City. In May 2013, Condic testified before the congressional Judiciary Committee for a bill that, had it been signed into law, would have banned abortions nationwide after 20 weeks. During her remarks, Condic posited that fetuses could feel pain as early as eight weeks after conception. But that statement is actually very much contested. Most studies on the subject — including the most accepted viewpoint and the best available evidence from The Journal of the American Medical Association — say it would probably be impossible for a fetus to experience pain before at least 24 weeks, after the time that nearly all abortions occur, because until that point the spinal cord is not connected to the part of the brain that consciously registers and perceives pain. The general medical consensus: Any response to stimuli before that is likely a reflex. The American College of Obstetricians and Gynecologists put out a statement backing that in 2013 titled, “Facts are important." Clinicians at the University of California San Francisco have also written extensively in support of the conclusion. Condic responded Thursday, defending her position as being based on “undisputed, uncontested data" and a number of peer-reviewed scientific publications cited in her testimony. She said the consciousness argument isn’t the final conclusion because there are animals without the same brain structures as humans that can still detect pain. And a fetus at eight weeks, she added, shows “the most rudimentary form” of pain response. She also said the process for her appointment is confidential, but she doubts “seriously that any one position is driving this nomination.” Condic believes any researcher who says she supports “junk science" hasn’t read all of the literature on the topic. Andrew Weyrich did not mention the controversy over her position on abortion that led a Slate columnist to nickname Condic “the pro-lifers’ go-to neuroscientist." Torres said she’s worried that Condic’s viewpoint largely aligns with conservative and anti-abortion viewpoints. Trump said earlier this year that he would support another attempt at a bill to ban abortions after 20 weeks (one did not pass in the Senate in January). Some states already do that. In Utah, doctors are required to administer pain medication to a fetus when performing an abortion after that time. The decision to appoint Condic also comes as the Supreme Court has a newly conservative majority and is widely expected to hear challenges of Roe v. Wade, the decision that established a woman’s right to an abortion in the United States. Planned Parenthood of Utah said last week that Trump choosing Condic fits the administration’s pattern of disregarding science and plays into a possible larger attempt to ban abortions. “It’s a little concerning to have her appointed, but I think their intentions are already clear,” said Heather Stringfellow, vice president of public policy. In an earlier interview with The Salt Lake Tribune, Condic acknowledged there would be challenges working under a president who has not prioritized science and research, particularly in connection with rolling back environmental protections. Months into office, Trump withdrew from the Paris climate agreement. He has had the phrase “climate change” scrubbed from federal government websites. And he has appointed officials in his administration who deny that climate change is caused by humans. His interior secretary stopped a study into the links between surface mining and health. And his State Department is without a chief scientist, a role seen as critical to international discussions on global warming. But Eller, who has worked at Intermountain Healthcare and the University of Utah since 2008, said Condic’s past comments on fetuses give her little hope that Condic will present science objectively in her position with the national board on the “difficult and delicate” subject. Condic was highlighted in a 2015 Intermountain Catholic article that discussed her position on fetal pain as part of upholding her faith. And, it says, she has experienced setbacks in her job because of it. Veola Burchett, the director for the Salt Lake City Catholic Diocese’s Office of Marriage and Family, said she knows Condic personally, and said last week that Wester was alluding to the professor perhaps not getting a promotion because of her stance or experiencing discrimination in the workplace. Condic has been at the University of Utah since 1997. She studies bioethics, which concern morality and medical practices, and her research has focused on the nervous system and stem cell treatment. In 2016, she worked as a scientific consultant for the House Select Investigative Panel of the Energy and Commerce Committee. She will formally accept her position with the National Science Board in the next few weeks and serve for six years. Both the Center for Gender and Sexuality Law at Columbia University and the Center for Reproductive Rights in New York responded to Condic’s 2013 testimony by challenging the 20-week cutoff as arbitrary and not actually tied to the development stages of a fetus. Neither group was available to respond to questions last week.